LVDE sprouted in 2009, when a strong local professional dance presence was lacking. By bringing together the talents, various arts programs, organizations, and beautiful facilities in the community; LVDE has successfully stimulated arts professionals to network, share resources, hire local talent, show and make work, host master classes, and embrace the potential of professional dance in the Lehigh Valley. LVDE is the first organization of its kind in the Lehigh Valley. It is taking bold inaugural steps to establish a commitment & set a foundation to support longevity & success. The mission of the Lehigh Valley Dance Exchange (LVDE) is to create a strong professional dance presence/scene in the Lehigh Valley. This is fostered by utilizing the dance talent of various Lehigh Valley arts programs, organizations and facilities while engaging the community in the creation and performance of new works that speak directly to the people, culture and issues of the Lehigh Valley. LVDE is a hub for the areas professional level dancers, choreographers and companies to facilitate dance collaborations and performances at Lehigh Valley arts venues. 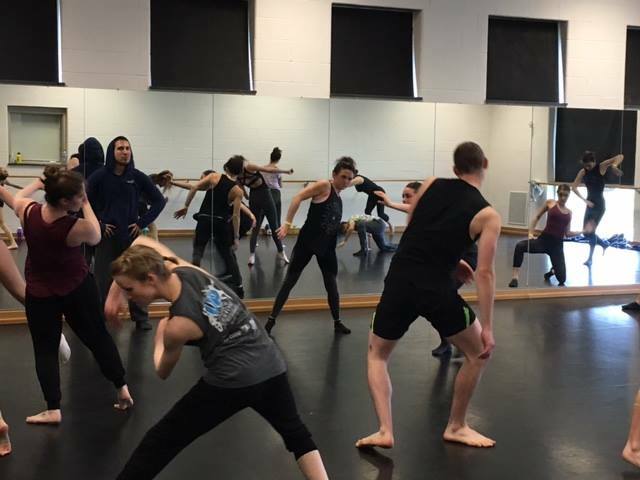 LVDE serves as a liaison for individuals and groups to share performance costs, locate artists, show work, host master classes, network and explore professional dance in the Lehigh Valley. LVDE is committed to being an equal opportunity platform which prioritises accessibility of the performing arts for underserved populations. 1. Build confidence, individual style, and artistic maturity in dancers and choreographers through opportunities to train and share work. 2. Provide low-cost, high-quality and diverse creative experiences for the community. 3. Allow networking among the Lehigh Valley dance community for future collaborations, support, and friendships. Are you interested in being a part of the LVDE team? Would you like to sponsor a guest artist? Do you think there could be a partnership for future projects? Want to share your thoughts on what the Lehigh Valley dance community needs? Please contact us, we would love to hear from you.